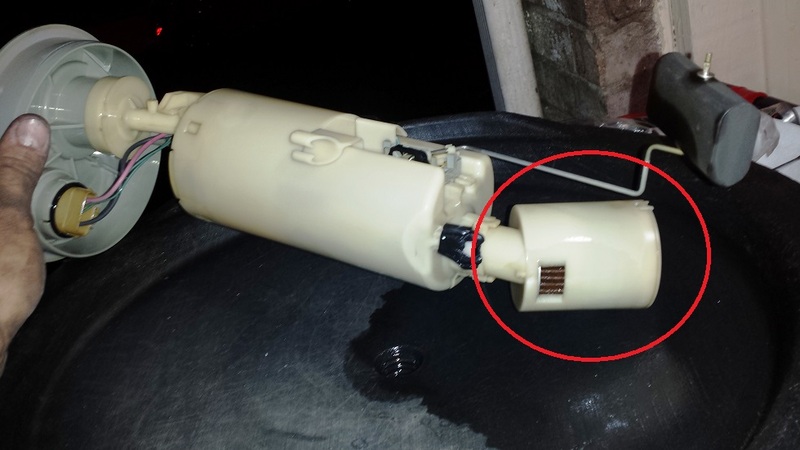 You are here: Home › MP Blog › Check out the difference between a US spec fuel pump and Mexican spec fuel pump on a 00-05 Neon! 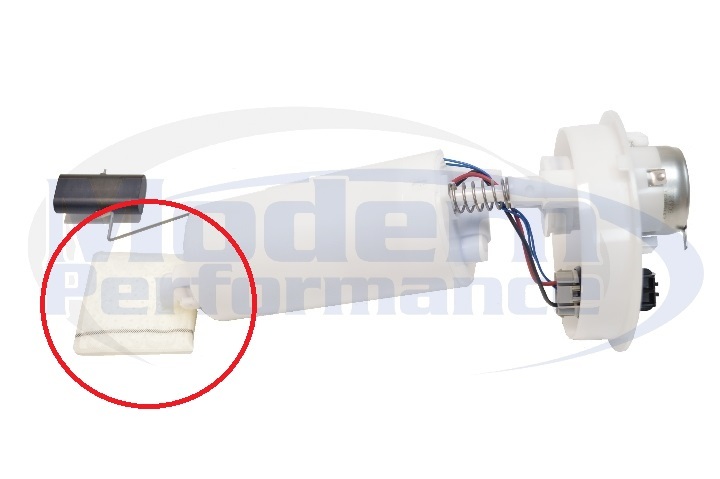 Check out the difference between a US spec fuel pump and Mexican spec fuel pump on a 00-05 Neon! So a good friend of ours is doing some work on a Mexican spec, export Neon that is in the United States. The owner is visiting for a few weeks and his fuel pump died after nearly 300 Kilometers, or nearly 200,000 miles of driving in Mexico. So the fuel pump canister was removed and check this out. This is a US spec fuel pump canister assembly. Look at the fuel filter sock on the end. Notice its a thin wafer, with plastic mesh. This is the Mexican spec fuel pump canister assembly. Notice how the canister is the same, but the fuel filter end is more like a large can. This is to better filter out impurities in the fuel. This is not the only difference between Mexican spec and US spec built Neons. We know the Mexican built Neons do not have airbags as Mexican Federal law does not require airbags in passenger vehicles, nor does Mexican Federal law require catalytic convertors, as well.